Catch a play directed and performed by Winfield community members! 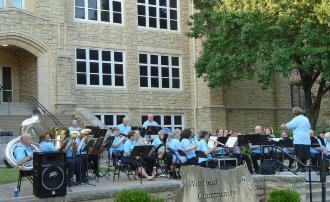 Winfield Community Theatre began in 1967 as a creative outlet and an entertainment resource for Cowley County. Through 41 years of production at The Barn Theatre and now at Meyer Hall, WCT continues that tradition of entertainment and creativity.